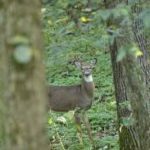 As you might have read in an earlier post I made back last September, you probably already know that new rules for the 2012-2013 deer hunting season in Indiana were in the works. They have now been posted by the Indiana DNR so hunters can start to plan out their hunting trips. We will go over the most drastic changes that will affect most hunters. You might agree with all or some of them but Indiana DNR makes the rules and we have to deal with them. After reading the rules below, please chime in by leaving a comment below about what you think of the changes. Good, bad or a mixture? If we do not start the conversation in public forum where the Indiana DNR can see it, they do not know what hunters like or want from them. Have a voice and let them know what you like and what you would like to see changed. Indiana has created a new license bundle for deer hunters. The price of the Indiana deer license hunting bundle is $65. With that price you will be able to bag one buck or antlered deer and two antleress deer. The bundle covers archery, gun and muzzleloader seasons. This license is not accepted in urban zones. 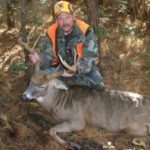 In counties with a bonus antlerles option of 4 or more, you will have an extra week of antlerless deer hunting. The added dates are from December 26th through the first Sunday in January. 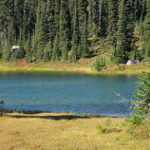 You will now be able to archery hunt with no break in the season from October 1st through the first Sunday in January. Another regulation that I’m in favor of is the new cartridge sizes allowed. The new maximum length allowed is 1.8 inches allowing the .460 Smith & Wesson, .450 Bushmaster, and .50 Beowulf. You may now use a cross bow through the whole archery season from October 1st through the first Sunday in January. If you are looking for a buck you will of course need to get a cross bow license as it is not covered under the new license bundle which I think is crap. You may crossbow hunt with a bonus antlerless tag. Any deer blind in the state of Indiana that is less than 4 feet off the ground and made of any man-made materials must be marked with hunter orange. The space requirements are at least 144 square inches on each side so that it is visible from any direction while deer hunting. A hunter orange flag on the top of your deer blind does not satisfy these requirements. 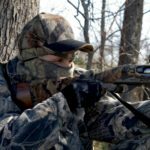 This new rule must be followed on all land, public or private during any season where hunters are required to wear safety colors. Hunters may now check in deer along with turkey online at checkINgame.dnr.in.gov. You will need your Customer ID when doing it. You can find your number on the top left hand corner of your license. You can still tag your kills in person at any authorized check-in station. There are other rules that you might want to look over. 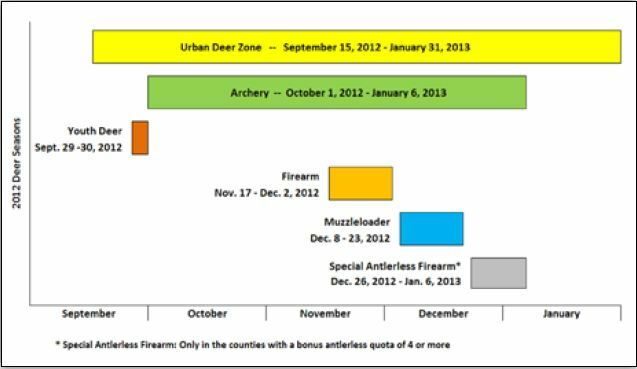 The above 2012-2013 Indiana deer hunting rule changes are only the biggest changes. How can you check in your deer if you are a land owner without a customer ID number? Hi Duane, I believe you will have to still check them in, in person. You might want to contact the DNR and run that question passed them. They area pretty good about answering the phone with someone that can help. I would be interested in hearing what they say so please let us know.